Europe – Finland | faim? oui oui!!!!!! 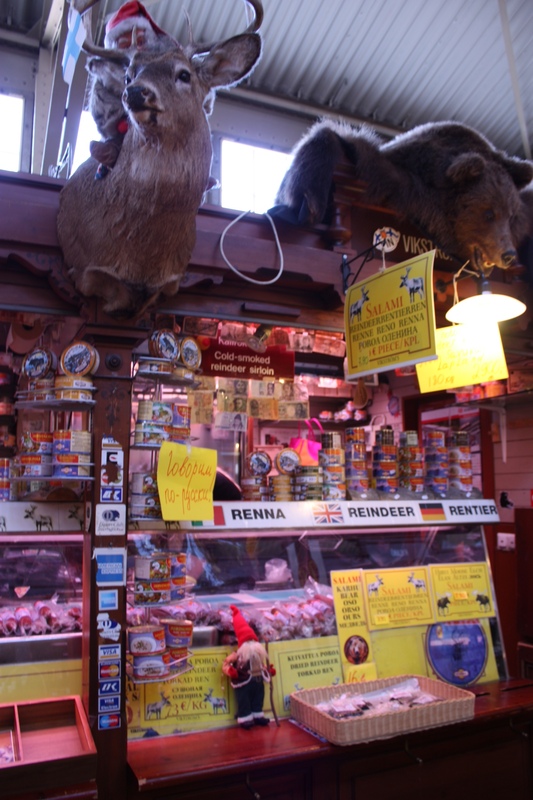 After eating at Karl Fazer Café, we walked to the Market Square where vendors sell fresh produce and Finnish souvenirs. 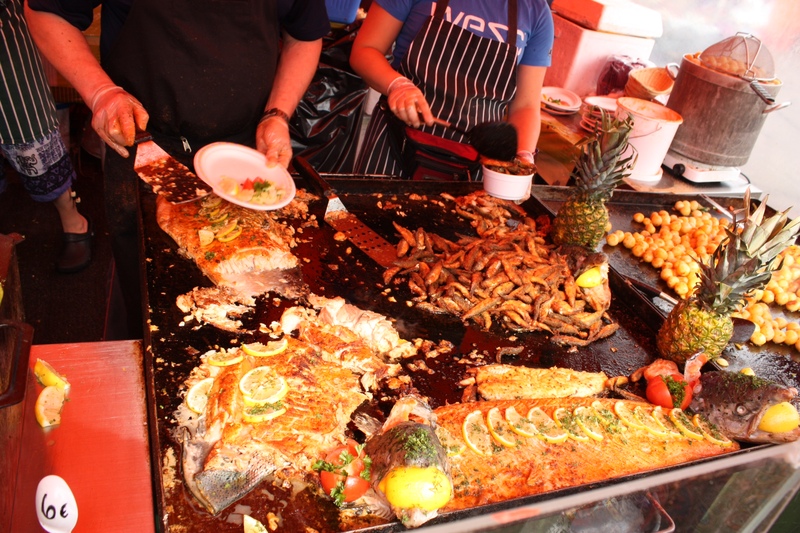 There are also many food stalls selling grilled seafood and meat. Everything smelled really good and even though we just ate, I had to try this! We ate at this food stand instead of the others because this one gave free fried fish samples! 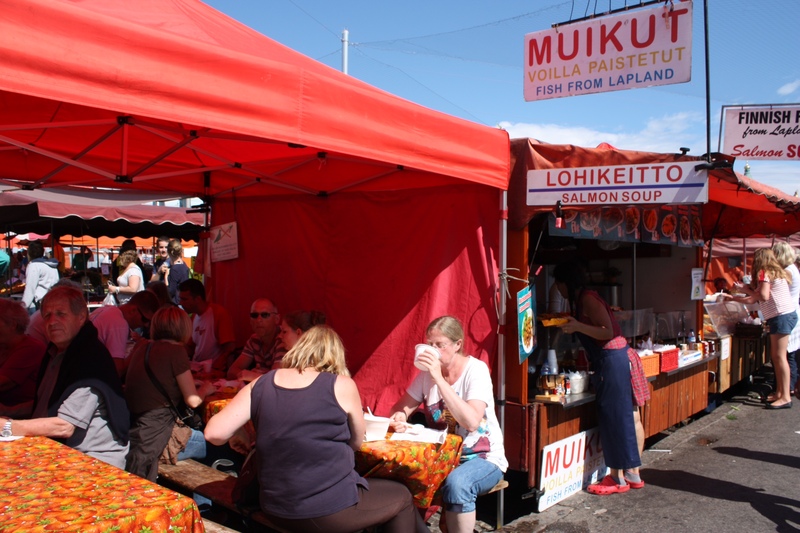 We ordered a mix of grilled salmon, fried muikut (tiny fish from Lapland, the northern-most region in Finland), calamari and reindeer meatball. 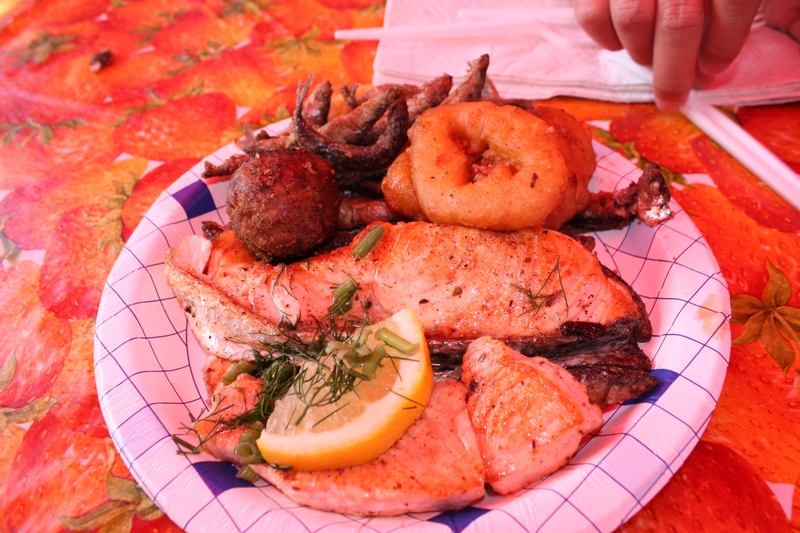 The salmon was grilled just right (very soft) but the calamari was average. The muikut was very crispy and flavourful. I requested for a reindeer meatball because its my last Scandic stop and I still haven’t tried reindeer! I know it’s kind of weird eating Rudolph’s relatives… but I have to try it! It tasted just like a regular meatball. 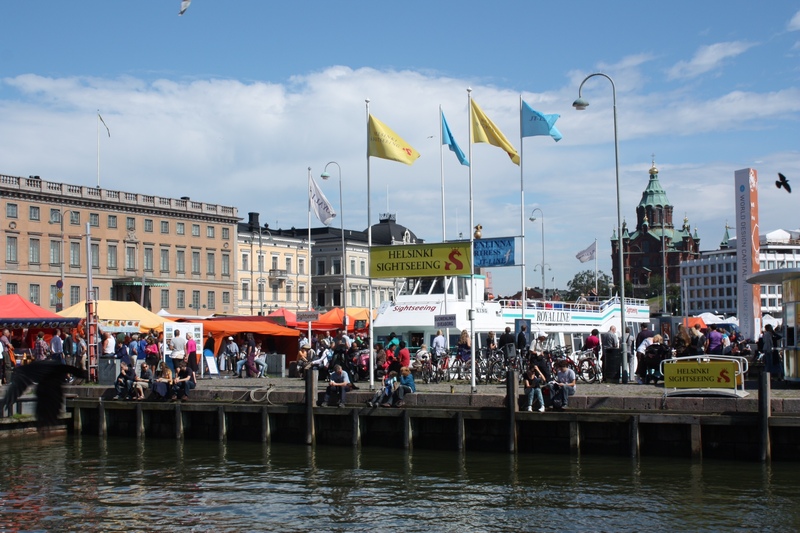 The cruise also stopped in Helsinki, Finland for a few hours and we managed to make 2 food stops! 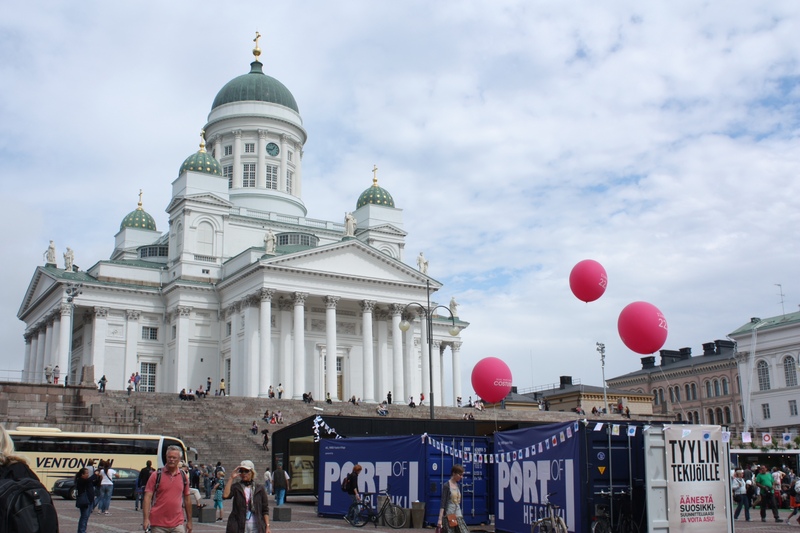 This is the Helsinki Cathedral and nearby is the Karl Fazer Café. 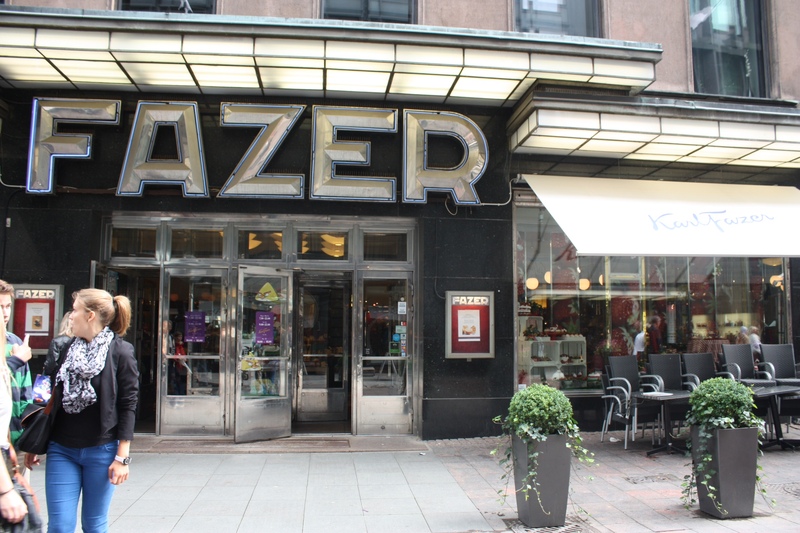 Karl Fazer is THE chocolate and confectionery brand in Finland and the café was opened in the same location way back in 1891! It’s still as popular as ever today (with both locals and tourists) and it was so hard to find a seat. 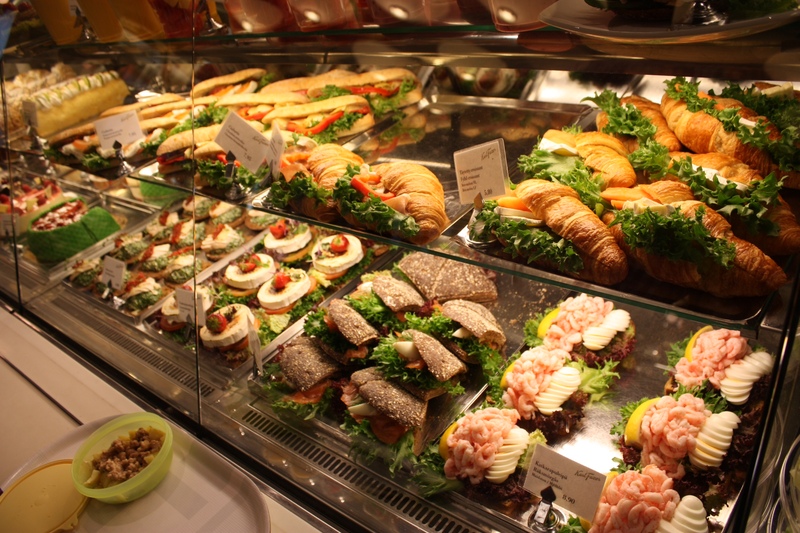 The café is self-serve and there’s a large variety of savouries and sweets. 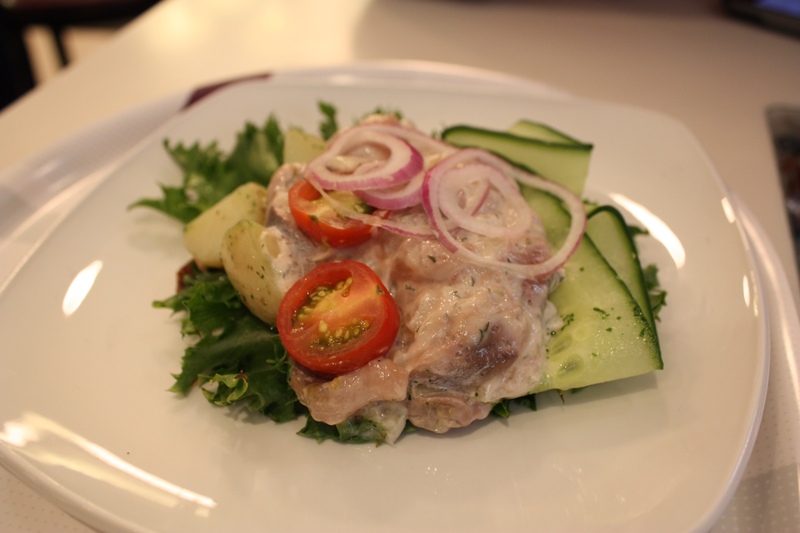 In Scandic countries, open sandwiches are extremely popular (Danish: smørrebrød, Norwegian: smørbrød, Swedish: smörgås, Finnish: voileipä). 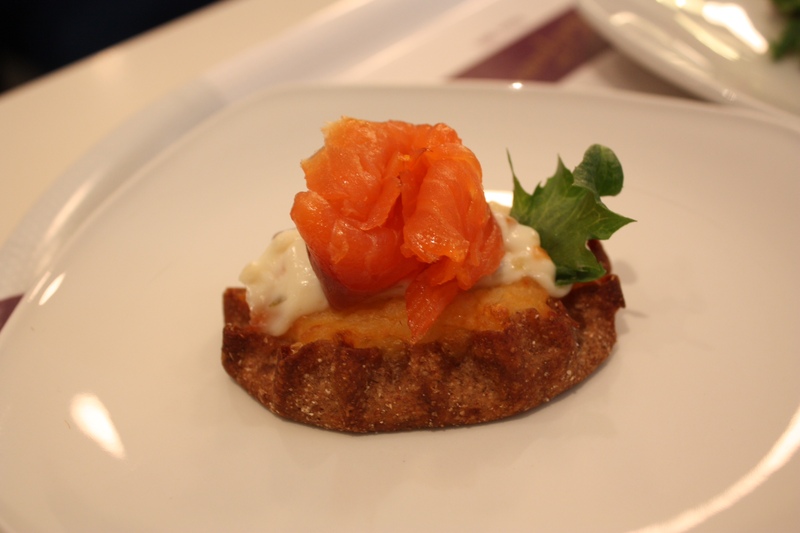 I randomly picked this because of the salmon and it tasted really good… there’s this semi-sweet filling within the bread! 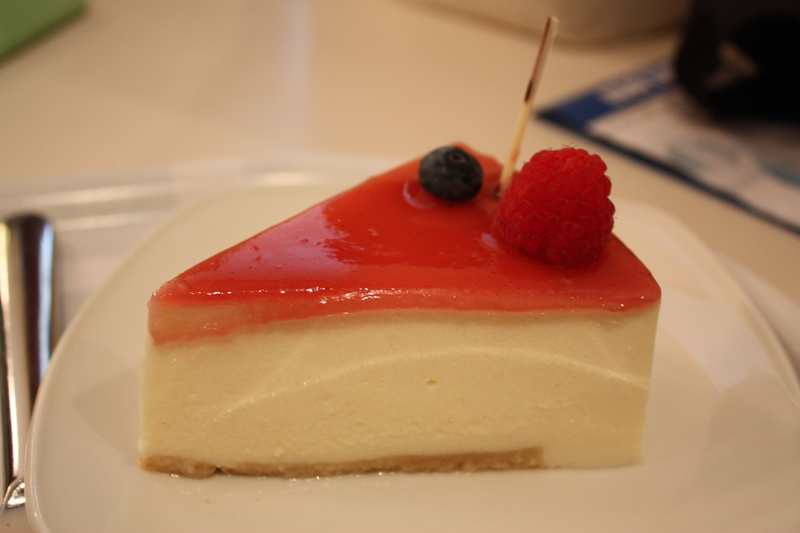 cheesecake with a raspberry layer on top… very light cheesecake yet there’s a strong cheese taste..